Chiropractic is a health care profession that focuses on disorders of the musculoskeletal system and the nervous system, and the effects of these disorders on health. Chiropractic care is used most often to treat neuromusculoskeletal complaints, including but not limited to back pain, neck pain, related arm or leg pain, and headaches. 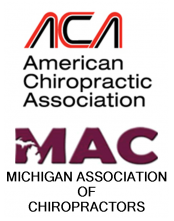 The following information is provided to assist health care providers when making a referral for chiropractic care. When should a patient be considered for chiropractic referral? A referral for treatment by a chiropractor is appropriate for most patients with mechanical or non-specific spine related pain including acute, subacute or chronic conditions affecting the cervical, thoracic or lumbosacral spine. Typical conditions seen include spinal strain/sprain, disc involvement, radicular pain, lumbar stenosis, facet joint syndrome, sacroiliac joint pain, non-specific spinal pain, myofascial pain syndromes and cervical and muscle tension headache. Other conditions that commonly respond well under chiropractic management include degenerative disc disease, intervertebral disc (IVD) dysfunction, IVD derangement, IVD bulging, IVD protrusion or IVD herniation. Treatments may include forms of traction (e.g., flexion-distraction), Mckenzie (extension) therapy and/or other manual therapy techniques. How many office visits are required for a patient to improve under chiropractic management? Most patients will experience pain relief and improved function within several treatments. Others may require more prolonged care. In some cases patients will obtain immediate relief following the first treatment. Acute / uncomplicated cases typically respond well within 2-4 weeks of care. Chronic or more complicated conditions may require an additional several weeks to obtain the best response from care. In some cases patients with chronic, recurrent or permanent conditions may be treated on an ongoing, PRN or as needed basis to maintain functional improvement and symptom gains. A primary goal is to transition patients from passive to active care, and to encourage self care and independence from treatment. How safe is chiropractic spinal manipulation? Spinal manipulative therapy is generally very safe. There are contraindications to spinal manipulation that have been identified in the literature. The most common side effect that patients may experience is short-term soreness in the manipulated segments. Severe potential complications from spinal manipulation are extremely rare and include cauda equina syndrome and vertebral artery injury or dissection and stroke. The likelihood of such complications has been documented to be approximately 1: 4.5 million (VBAI) to 1: 100 million (CES). A history of spinal surgery, osteoporosis, healed fracture, disc herniation without significant or progressive neurologic deficit, scoliosis, chronic arthritic conditions, degenerative disc or joint disease, some traumatic injuries and joint instability are not absolute contraindications to treatment. Absolute contraindications may include progressive or severe neurologic deficit, infections, malignancies, acute bone demineralization, acute fracture/dislocation and acute arthropathies. A contraindication to spinal manipulation in one region of the spine rarely precludes treatment in another region. In many cases techniques can be modified as indicated to accommodate the patient’s condition or manipulation may be withheld. Spinal manipulation can provide relief of pain and tenderness by improving range of motion and restoring function. The exact mechanism has not yet been established however current models suggest that treatment benefits from appropriately applied spinal manipulation result from motion segment unbuckling, meniscoid inclusion release, intra-articular adhesion / fringe release, stimulation of joint mechanoreceptors, improved proprioceptive input, enhanced circulation, relaxation of hypertonic muscle, centrally mediated reflexes and restoration of articular dynamics. Why do chiropractors have different approaches to treatment? The trend today is toward evidence based and integrative managment of spine related pain. However some chiropractors continue to adhere to traditional philosophies of practice. Evidence based chiropractors approach pateint care on the physical medicine model of diagnosis and treatment. Spinal manipulation is one component of a clinical protocol which may overlap with approaches taken by physical therapists and physiatrists. Evidence based chiropractors may also provide modalities such as hot/cold therapies and instruct patients in rehabilitative exercises, stretching, posture, ergonomics, lifestyle changes and proper diet. Many evidence based chiropractors may work cooperatively within hospitals and integrated care centers. Philosophically based chiropractors may advocate that spinal manipulation or “chiropractic adjustment” improves health through reducing nerve “interference” resultant to correcting “spinal subluxation” (intervertebral joint dysfunction). Spinal adjustments may be directed at restoring neurologic homeostasis, rather than to treat a clinical disorder. Regular adjustments may also be provided with the intent of preventing future health problems. Philosophically based chiropractors may not provide clinical diagnosis beyond “subluxation”, and may not provide evidence based examination and treatment procedures.